If you have bought some program of our company, congratulations. Now it time to support it. For it, it is necessary to update them from time to time, since if we do not realize the updates of the equipments and programs, today modern, they will turn in obsolete. The minimal requirements that we expect to find in any equipment or program change with the time. The procedure of industrialization, the compatibility with the antivirus of the market or the adjustment to new platforms of work they do necessarily to realize processes of update. 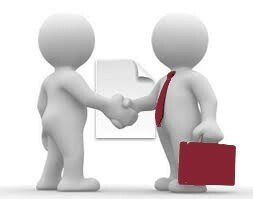 For all this our company puts to your disposition our service contracts. Have you doubts in the managing of the programs and / or bought equipments? Do you think that you have a breakdown? With any of our contracts the telephonic assistance is included. Call us and we will attend you without additional cost. How do I know that it exists a new version? SIMPLE. If you have Internet, the programs connect automatically to our servers and check if an update exists, warning you immediately. What does happen if I do not have Internet in plant? Have or not Internet in plant, you will receive in addition an e-mail indicating that a new version exists in order that you could download it from our servers and install it in plant. Do you want that we realize a periodic inspection of your installation and verify calibrations of scales, meters and general installation? We have contracts that include in addition the periodic check of your installation.